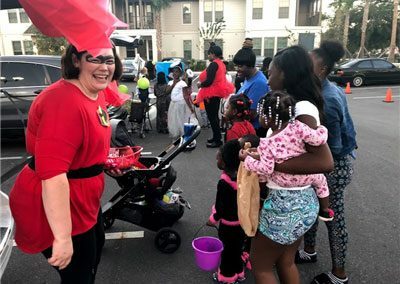 Pendana had its first ever Trunk or Treat! 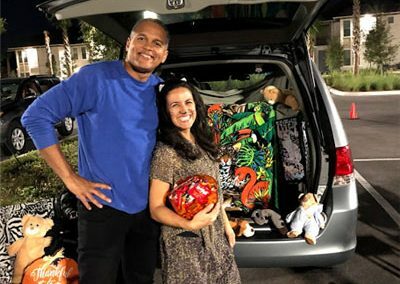 A Trunk or Treat is where there are a number of cars who host a game and hand out candy to the neighborhood kids. 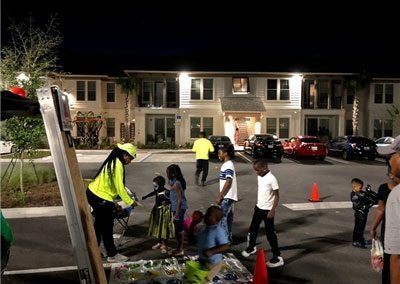 It’s an easy way to connect with neighbors and love on the families. We had around 16 decorated cars lined up near the playground to hand out treats. 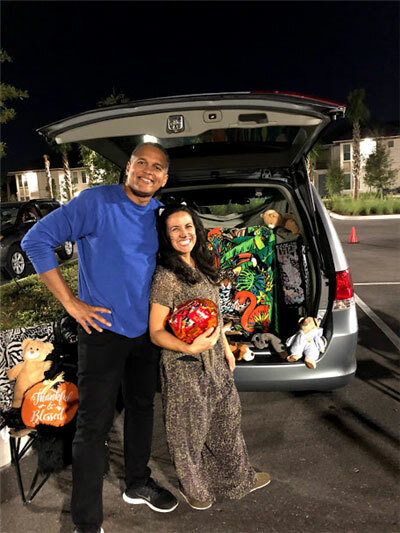 As a thank you to our trunk volunteers and to get residents excited to hand out candy, we had a competition for the best-decorated car. Both adults and trick or treaters were able to vote on their favorite cars. We had a first, second, and third place winner. The recipients were super grateful to win a prize. One resident said it was so great to see people in the community gathering outside and having a good time. Both adults and kids alike enjoyed the endless supply of treats. 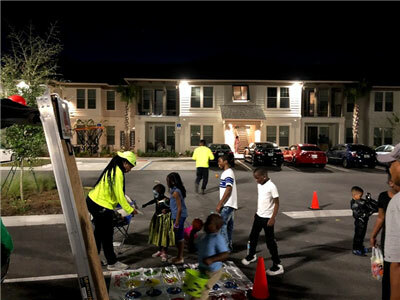 One resident, who had lived in the previous apartments located here before Pendana, said it was so great to see people in the community gathering outside and having a good time. She said the previous community’s crime rate was so high that neighbors didn’t want to engage with each other and be outside. She said it was so wonderful to see the change in the community for the better.